We understand that this is a broad statement. That is why we will take some time this summer to reiterate who we are, what we do, and how we are doing it. This is the first of a four-part series in which we will unpack each component of our mission statement and explain how we are turning these words into actions within the community. 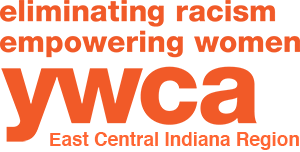 This week’s focus is “eliminating racism.” This is an issue that the YWCA confronts head-on with our “Stand Against Racism” event. Stand Against Racism is a signature campaign of YWCA USA and is intended to build community among those who work for racial justice and to raise awareness of the negative impact that institutional and structural racism perpetuates in our communities. We encourage you to raise your voice, and join us on our mission by engaging with us on social media, stopping by for a visit, or by calling us at to chat at 765-284-3345. Be sure to check back next week as we dive deeper into our mission of “empowering women.” Stay tuned!